Environmental campaigners WWF Greece on Wednesday unveiled a series of ambitious policy proposals aimed at providing the debt-hit country’s economy with a green kick-start. The five-year road map, which was drawn up by a group of more than a dozen WWF experts and independent scientists, contains a wide range of institutional, financial and educational measures for a more workable and sustainable economy. “Environmental protection is unfortunately still treated here as an unnecessary luxury, as a stumbling block to growth, or as an expendable product in the efforts to recoup the country’s debt,” Karavellas said. Stuck in a six-year recession, Greece is eager to attract investment to generate growth and jobs in its depressed economy. NGOs have repeatedly warned of an environmental rollback in the country and accused authorities of using the financial crisis as a pretext for easing laws and regulations designed to safeguard the natural environment. Recent legislation tabled by the Environment Ministry relaxes the restrictions on building in public and private forests, even if they are considered protected areas. The draft law was slammed by a number of local NGOs, including WWF, who refused to take part in the public consultation process. The WWF proposals call for greater transparency, the scrapping of tailor-made regulations and the simplification of Greece’s notoriously nebulous legislation. “Laws must be clear and well understood by everyone whether they are citizens, businesses or societies at large,” said Theodota Nantsou, environmental policy coordinator for WWF Greece, also calling for less bureaucracy and more financial incentives for green companies. The organization put forward a number of far-reaching interventions in Greece’s primary production – agriculture, livestock farming, forestry and fisheries – as well as directions for sustainable reforms in secondary production, i.e. industrial and manufacturing activity. Greek industries must substitute fossil fuels with renewable energy sources, promote energy efficiency and adopt resource efficient productive processes (like organic farming, recycling and sustainable waste management), said the report. WWF officials however warned that little will be achieved without a strong inspection system, while also calling for the introduction of the “polluter pays” principle. “We want Greece to become the testing ground for this policy,” said Nantsou. Tourism, which is Greece’s biggest industry accounting for about 16 percent of GDP and one in five jobs in 2011, is also addressed in the report. The sector must maximize economic gains with the minimum possible level of damage to the natural habitat and cultural heritage, WWF officials said, warning against unchecked construction. “We must promote investment in areas where construction has already taken place rather than build new facilities all over the country,” said Nantsou, emphasizing the need for innovative ideas. The WWF official proposed the revival of deserted villages that could be put to use for tourism while ensuring that their historic character is preserved and with the lowest possible footprint. She offered the example of Gavros, a village of adobe (sun-dried clay) houses in the Western Macedonia region of Kastoria. According to a recent Eurobarometer survey quoted in the press conference, the natural environment is the key factor in picking a tourism destination. Cultural heritage ranks second. Training and education also feature high on the agenda of the conservation group, which recently announced a new interactive, grassroots campaign to promote a more sustainable lifestyle. The WWF’s Kalyteri Zoi (Better Life) campaign, which is subsidized by the Stavros S. Niarchos Foundation, will debut on Thursday. 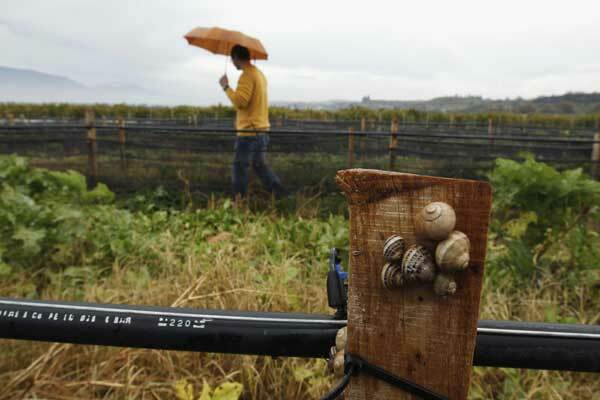 WWF said the report has already been made available to several Greek ministries and government agencies. “We are not deluding ourselves. We just want to provide a framework and pursue anything that is possible for us to pursue,” Nantsou said. AthensBook made a name for itself in 2009 as a free mobile phone application that served busy urbanites lost in the asphalt jungle of the Greek capital with easy-to-use, real-time location-based data: open pharmacies in the neighborhood, the cheapest gas stations and nearest on-duty hospitals — all at the tap of a touchscreen. Three years and 145,000 downloads later, the two friends and business partners behind the project, 30-somethings Dimosthenis Kaponis and Yorgos Panzaris, are hoping to make fresh ripples in the local app ecosystem by unveiling an update that provides users with better, richer and more “social” content. But the overall aim has not changed. “Our goal is to provide the information people actually need while on the go,” said Kaponis from the team’s brand-new offices in Halandri, a leafy suburb in northeastern Athens. “This does not mean stuffing hundreds of mostly unused and irrelevant bits of information inside a database and serving those. Our vision lies in evaluating and providing exactly what every single one of our users needs, without them worrying too much about it,” he added. AthensBook is available on iOS and Android, and it will soon be available in Windows 8 for tablet devices, after being selected as one of the very few companies that partnered with Microsoft in order to provide locally valuable applications for its new operating system. Using one of those gadgets, you can now find your closest watering hole, order home delivery from the most popular pizza parlors, see what museums and archaeological sites are open, avoid traffic and even watch movie trailers with a few swipes of your finger. AthensBook is one of an estimated 2 million apps worldwide that will be available for download by the end of 2012. A stunning 15,000 apps are released every year, far more than any other type of media — a factor that makes its success all the more remarkable. Greece, of course, is another. Kaponis puts it more mildly. “There are significant obstacles to the creation of a powerful, capable, world-class high-tech community,” he said. With the economy in its fifth year of recession, youth unemployment has skyrocketed above 50 percent. Like many of their tech-savvy peers, the creators of AthensBook have both spent considerable quality time outside Greece. Kaponis got his M.Eng in information systems engineering from Imperial College and started a doctorate on distributed artificial intelligence at the London-based institution. He soon left his doctorate program and returned to Greece to start Cosmical Technology, providing consulting and development services to businesses. Panzaris studied electrical and computer engineering at the National Technical University of Athens (NTUA) and later turned to the humanities, getting a master’s in education from Harvard and a PhD on the history of technology from Stanford. The two friends, who met in the local blogosphere, came up with the idea for AthensBook in 2008. A few months later, the app was launched on an experimental basis. At the time, location-based products and services were no more than coffeehouse fodder. Similarly, location-based advertising, which relies on global positioning satellites and the triangulation of cell base stations by mobile operators to pinpoint location, was still in the offing. “In 2008 extremely few companies were aware of mobile marketing that did not include your standard run-of-the mill SMS-based campaigns, or primitive — by smartphone standards — WAP sites,” Kaponis explained. Even advertising agencies specializing in digital media, largely Internet and mobile advertising, were just exploring the possibilities at that time, he says. Convincing admen to take a risk on an unknown entity was an early challenge, but the two developers were fortunate to have created a pioneering service that was affordable enough for large businesses to try. “The fact that we were bootstrapped made expanding our company harder, which in turn affected the product development rate,” Kaponis said. That probably wouldn’t have been much of an issue, he added, had they started their company in a more developed market with a better understanding of the high-tech sector. To make matters worse, Greece was soon to be rocked by a severe debt crisis that also hit their sole source of revenue: ads. Total advertising spend has over the past three years shrunk to a small fraction of what it was in the late 2000s. Nevertheless, “it wasn’t all bad,” Kaponis said, as web and mobile have lured a considerable chunk of ad money away from traditional media such as print, radio and television. The latest edition of AthensBook features a smooth interface that connects to tens of thousands of venues including a full-featured cinema guide, restaurant guide, lists of nightlife venues, public services, museums and attractions, public transport information, taxi services, and live traffic information for the broader Athens area. To this end, the creators have made partnerships for premium, quality content like, for example, Infotrip for traffic data and ask4food.gr for restaurant reviews. 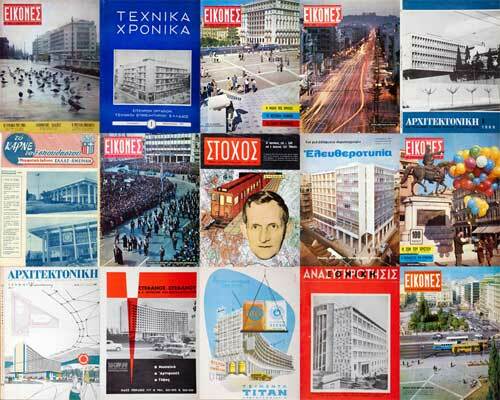 A Thessaloniki version, ThessBook, is also available. Apart from upgrading content, the two developers have also tweaked the nature of the app to keep up with the web’s gradual shift to more user-generated, social content. The app now offers more social and lifestyle functionality, including user reviews, tips, and ratings. “The aim is to provide a more personal, smart and useful experience, rather than the more generic, utilitarian function it originally served,” Kaponis said. Like most young Greek entrepreneurs, the two work with an eye fixed on what is going on outside the country. Despite the growing interest, the local market is uncomfortably small, or simply unwelcoming, for Greek start-ups that have never quite produced a blockbuster hit of Pinterest or Tumblr proportions. A very small number have managed to raise capital beyond seed level. “The human capital in Greece is a mixed bag: There are many people that are talented, ambitious and willing to work hard but who are tainted by a subpar education system and the nonexistence of an industry capable and willing to absorb them,” Kaponis said. He and Panzaris have held discussions with a number of investors and potential partners, also from abroad, with the aim of creating useful, personal guides for cities around the world. They hope to release their first non-Greek guide in the near future. Will Bosnia make it? Few people place much hope in this small Balkan country these days. A national vote held earlier this month has intensified pessimism about its future as it appeared to cement the political deadlock that has sabotaged Bosnia’s integration with Europe. Fifteen years after the ethnic war that cost the lives of more than 100,000 people, the election outcome mirrored the persistent ethnic divisions inside the former Yugoslav state of 4 million people. But there was little in the way of surprise. 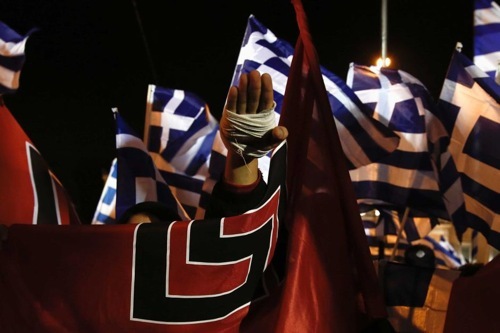 “The results were not unexpected given the preceding election campaign,” Stefan Wolff, an international security expert at the University of Birmingham, told Athens Plus. “Ethnic divisions will not necessarily deepen further; rather, the results reflect the existing deep divisions and these will now harden as all sides see their perceptions of the respective others confirmed,” he said. The complexity of the election system is frustrating, even by the exacting standards of the Balkans. Voters picked the three members of their collective presidency – one from each ethnic group – along with deputies in the central, regional and cantonal parliaments. Additionally, Bosnian Serbs picked a new president and two vice-presidents as well as delegates to their own parliament. A US-brokered deal in 1995, known as the Dayton Peace Accord, stopped the bloodshed while splitting Bosnia into two regions – a federation of Bosniaks (Bosnian Muslims) and Croats and a Serb-dominated Republika Srpska (RS). The two entities are relatively autonomous but they do share a joint presidency, parliament and some state institutions all based in Sarajevo. Constitutional changes, designed to undo Bosnia’s bureaucratic behemoth and unblock the country’s European path by ending international guardianship, were put on ice earlier this year amid political wrangling. In a sign of hope, Bakir Izetbegovic, the son of Bosnia’s wartime Muslim leader and an advocate of ethnic reconciliation, ousted Haris Silajdzic, a hardliner, in the race for the Muslim presidency. However, Milorad Dodik — Silajdzic’s political nemesis — strengthened his grasp on power in RS after the strong showing of his party and his own convincing election as president. Dodik, who will now chose one of his close aides to replace him as premier, is the international community’s bette noir in Bosnia, as he has repeatedly called for the Serbian Republic to secede. “Dodik – as the undisputed center of power – will ensure that the presidency of RS, which played a largely symbolic role during [Dodik predecessor] Rajko Kuzmanovic’s tenure, becomes even more prominent and assertive,” Ian Bancroft, executive director of TransConflict and a UN global expert, told Athens Plus. Dodik makes no secret of his ambitions. “Bosnia is a mistake created during the disintegration of the old Yugoslavia,” he recently told a Serbian daily. “Bosnia cannot be, never could be, and never will be a state. That’s the only reality.” Dodik, who refuses to recognize Bosnian Serbs committed genocide in Srebrenica in 1995, predicted independence will come in the next four years. “It can be argued that the entire campaign has in a way been a referendum on RS separation,” Sara Nikolic, an expert based in Sarajevo, told Athens Plus. In addition, many Bosnian Croats – who want the creation of their own Croat entity within Bosnia – feel disenfranchised by the re-election of Zeljko Komsic as Croat member of the tripartite presidency, apparently accomplished on the back of Muslim support due to his support for a united, multiethnic Bosnia. There is no fast track for Bosnia, where the formation of governments usually takes four to five months. “Though optimistic estimates suggest a governing coalition could be formed by February, the persistence of such disputes and tensions will only serve to further deepen ethnic rifts as the horse-trading and political bargaining gets under way in earnest,” Bancroft said. Analysts claim that lingering economic misery is making voters prone to nationalist tantrums. About half the population is unemployed, while growth is expected to hover this year at 0.8 percent. Despite the slew of modern shopping malls and restored mosques around Sarajevo, lack of economic development means that many of the psychological and physical reminders of the 1992-1995 conflict remain. Still, many observers say the economy is really not the most important factor. “The deterioration of ethnic relations, which have never been very good at any rate over the past almost two decades, also has to do with the fact that nationalism remains a powerful mobilizer of people in all three of the main communities and thus is too tempting for politicians not to exploit in their quest for power,” said Wolff. Dodik has clearly sought to benefit from the Bosniaks’ failures – a bloated bureaucracy, ineffective decision-making and poorly controlled public spending – that have left the federation on the verge of bankruptcy. “Many in RS question why they should seek closer ties with what they perceive to be a failed part of the state,” Bancroft said. “Bosnia is in no way ready for complete Western withdrawal,” Nikolic said. Although the actual physical Western presence in Bosnia is very small, the country, which has received 15 billion dollars in foreign aid since the end of the war, is still highly dependent on economic assistance. Wolff believes the West will not chose to ignore the troubles in its backyard. “I do not think that the West, and in particular the EU, will abandon Bosnia. It is too important for stability in Europe and as a symbol for EU crisis management,” he said. Yet again, some wonder whether there is really any point in trying to keep together a state that does not wish to continue as one. Bosnia, after all, is a country where the allegiances of a majority of its population lie elsewhere. “No amount of nation-building will help foster an overarching Bosnian identity, at least not for several generations,” Bancroft said. But while Bosnia may lack a shared identity and a civic conception of the state, he added, it does have a largely shared orientation: EU membership. “In order to progress down that road, however, Bosnia will have to cease being a protectorate, meaning that the office of the high representative (OHR) will have to close,” Bancroft said, adding that much of the country’s woes lie with the failure to foster local ownership of the reform process. Bosnian politicians, in other words, see little reason to take on the hard stuff when they can simply blame painful and politically costly measures on outsiders. If the past is any guide, failure to keep the fragile country together may well create even bigger problems for the region and beyond. “Another contested secession in the Balkans, after Kosovo, would be very damaging and destabilizing, as it would intensify debates on redrawing boundaries elsewhere in the region as well,” Wolff said.